HaZamir is a network of 35 teen choral chapters across North America and Israel, involving over 400 teen singers in a highly structured music and education program. 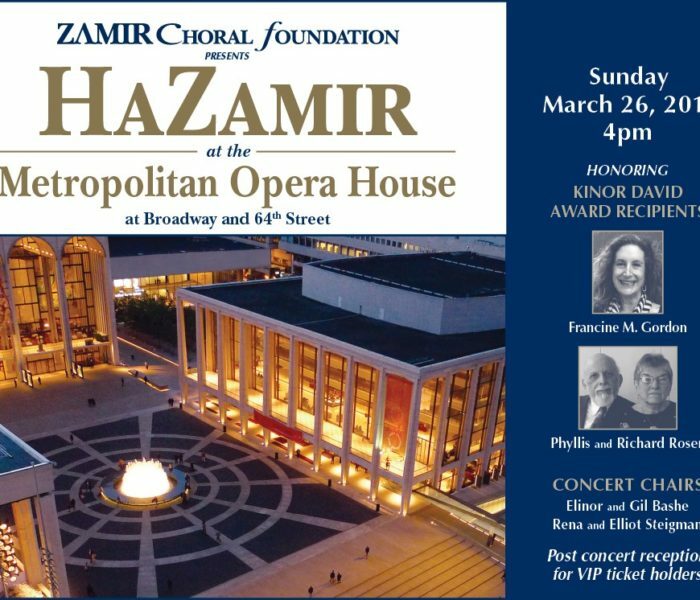 Through the medium of Jewish choral music, HaZamir, directed by Vivian Lazar, treats teens to a fun and nurturing community, inclusive of all levels of Jewish observance, geography, cultural and socio-economic backgrounds. HaZamir builds an inclusive and positively identified community of young Jews and instills a lifelong commitment to Jewish culture, the Jewish people and the State of Israel. The HaZamir program includes an auditioned Chamber Choir, comprised of those HaZamir singers with more formal musical training and who desire an even more challenging musical experience, a leadership development track and a Parents’ Council. The HaZamir experience combines rigorous musical training, retreats, social events and an on-line connected community.